As per October 1st 2018, the PREPARE study sites have crossed-over to the opposite arm! Since then, more than 1,000 patients have been enrolled in the PREPARE study. When adding this number up to the number of patients enrolled before cross-over we come to a total of 4,772 patients. We thank all study personnel for their continuous efforts. To date, 2,583 have received standard of care and 2,189 patients have received PGx guided prescribing. These 2,189 patients have also received their safety-code card, holding their personal pharmacogenetic profile. 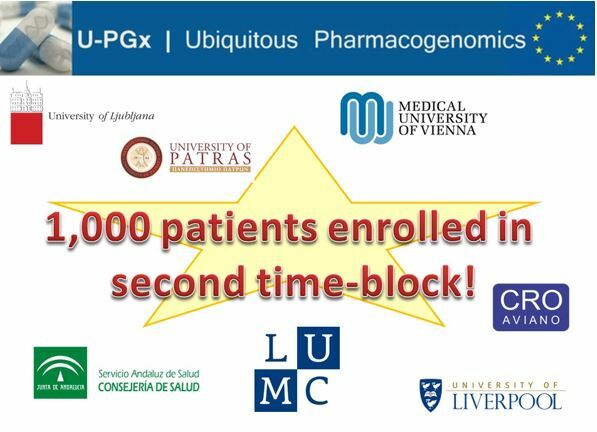 We are one step closer to making actionable pharmacogenomic data and effective treatment optimization accessible to every European citizen! We look forward to continuing the study and thank all enrolled patients for their participation!